When you ask any question in Google or search with any keyword, a special block of information may appear, which is known as a featured snippet. This block will contain an extracted summary of the answer from a webpage, a link to that page, and most of the time, a related image. Google extracts the summary programmatically. If you can place in any particular keyword for the featured snippet, you will get special attention of the person searching about that topic. The result? More clicks, more traffic. Here is one example of a featured snippet, from our main site weDevs.com. The competition of that long tail keyword is relatively low, and there were not many resourceful articles about this topic on the internet. 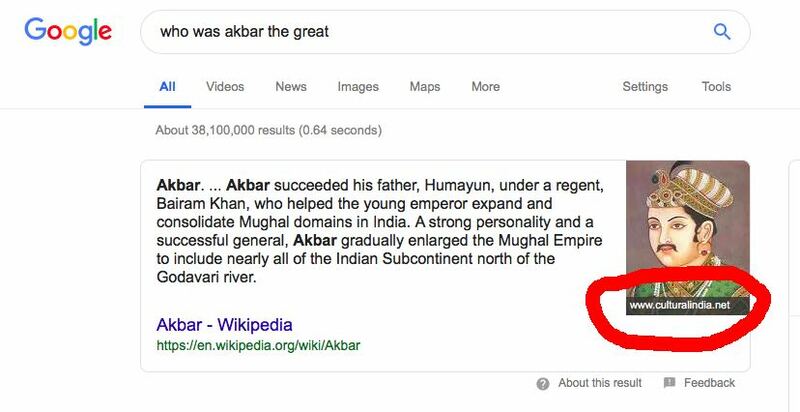 So achieving this Google snippet was easy for us. You can opt out from featured snippets (using <meta name=”googlebot” content=”nosnippet”> tag on your page). But according to Google, there is no way to mark your page with a featured snippet. It is a fully programmatic process. In my research about Google featured snippets, I have found some interesting things about this special block of information. In this post, I will cover them. Using these insights you can get success in your featured snippet SEO. First of all, let’s see a featured snippet. There is an image of Alexander the great in this snippet. If you click in that image you will see the image is taken from the same webpage of biography.com. But this is not the case for every featured snippet. Sometimes the Google bot takes the picture from one site and text from another site. Look at these images below, where I have searched for two other historical figures. If your image has related text of the search query, it may appear in the featured snippet. I have found some of these kinds of featured snippet images, one is for the keyword SEO. The featured snippet image can come from YouTube videos, too. Sometimes a table of facts can appear in the special information block. Here is one example of the search phrase “Ibn Khaldun quotes”. The webpage of this snippet has a table of quick facts about historian Ibn Khaldun in an article. Googlebot grabs the information box from there. How to get a place in the featured snippet for a particular keyword? 1. Structure your post better than your competitors for that particular keyword. You can use snippet bait for this. Snippet bait is a 40 to 60 words block of information designed to be featured on FS. This short block of information should clearly answer the question you are targeting. 2. Optimize your content for mobile search. If your site is not mobile friendly, it will be hard for you to get a place in the featured snippet. 3. Use lots of H2 and H3 tags. These will help Google bots to identify your information fast. 4. Use a table of facts for quick summarization. Summary and table of facts also useful for readers to get a quick picture of the content. 5. List a bullet point summary with 40 to 60 words. As a reader, I find it very helpful. An example from a blog post. 6. Find competitors’ featured snippets using SEO tools like SEMrush or Ahrefs. And then in your content, write a better snippet bait. 7. Get connected with more high authority sites by linking to them. And hopefully getting links in return. 8. From all types of the snippet (paragraph, table, and list), a paragraph snippet performs better. So, spend more time to optimize your contents with little information boxes. 9. To rank for a list snippet, a step by step guide content is most suitable. Use H2/H3 subheading tags for every step name. 10. If you want to rank for table snippet, use tables in your content with quick facts. Table structure should be simple, well formatted so that the Google bot can easily pull data from it. 11. Increase the site loading speed. You can read more about that here, here, and here. 12. Adopt HTTPS and secure your URL. It is not about your site’s SEO ranking or how many backlinks you have. Mostly a featured snippet depends on the quality of the content and structure of your content. 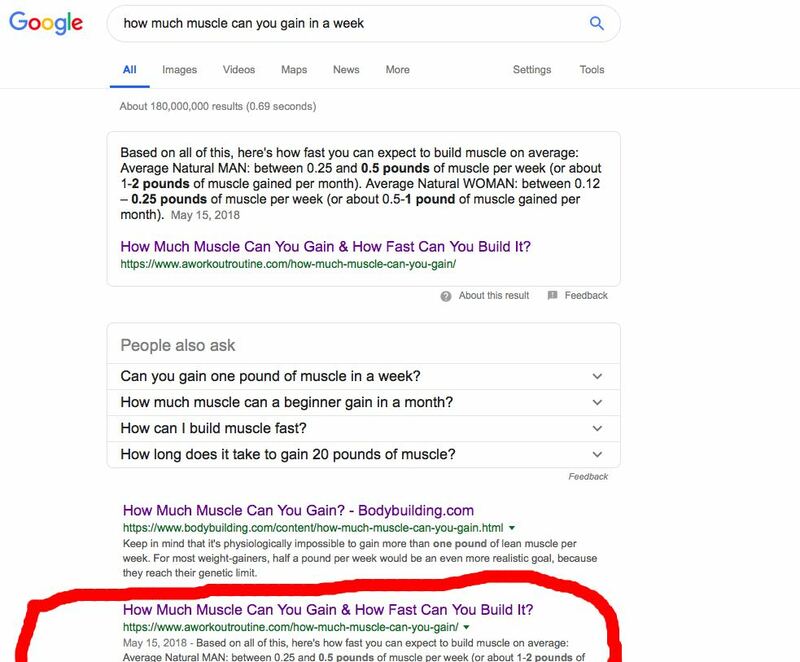 If you search by “how much muscle can you gain in a week?” you will see a featured snippet from a site named aworkoutroutine.com. This bodybuilding site is defeating bodybuilding.com in featured snippets while in the actual search result, it is in the number two position. The content of aworkoutroutine.com is well structured, very suitable for skim reading. Also it has useful information in boxes. Besides the content of the bodybuilding.com is just a typical structured one. We can see the SEO position of these two sites from MOZ’s link explorer tool. Another David and Goliath story, where the underdog is defeating the stronger. So, the basic point is, well-structured content can defeat a high ranking page in Google featured snippets.